Emerald Lake, British Colombia, Canada. Emerald Lake is located in the Yoho National Park. It was discovered in 1882 by Tom Wilson- a mountain guide. 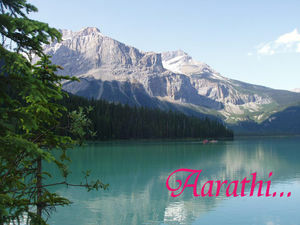 This stunning emerald coloured lake is surrounded by President Range, Mount Bergess & Wapta Mountains. This is the favourite destination of hikers & canoers . Commentaires sur Emerald Lake, British Colombia, Canada.